The owner of a motocross course has been fined for breaching a noise abatement notice. Charles Summers had been served with an abatement notice by Daventry District Council (DDC), restricting use of the course at Dodmoor Grounds Farm, off the A5 near Weedon, to one event per month. 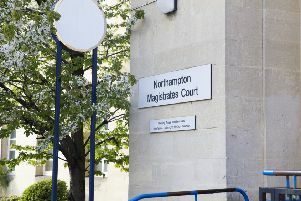 But the course hosted two events in October last year in breach of the notice, Northampton Magistrates Court heard. Before the court on Tuesday last week, Mr Summers, of Hornby Road, Earls Barton, admitted an offence under section 80 of the Environmental Protection Act 1990. He was fined £200 and ordered to pay a victim surcharge and costs of £100. DDC had served the notice on Mr Summers following complaints from neighbours about noise coming from the course. The notice required Mr Summers to hold no more than one motocross event a month, restricted to the hours of 9am to 4pm and on condition he notifies the council in advance so that nearby residents can be forewarned. In mitigation, Mr Summers told the court that he had organised the second event in October after the first had been abandoned within the first hour following an injury on-site. Cllr Mike Warren, health and housing portfolio holder on Daventry District Council, said: “Noise from motocross events is notoriously intrusive to any residential properties that might be nearby. “There are a number of homes nearby and we received several complaints about the noise. The notice was served in an attempt to find a reasonable compromise between Mr Summer’s right to host these events and the rights of local residents not to suffer intrusive levels of noise.